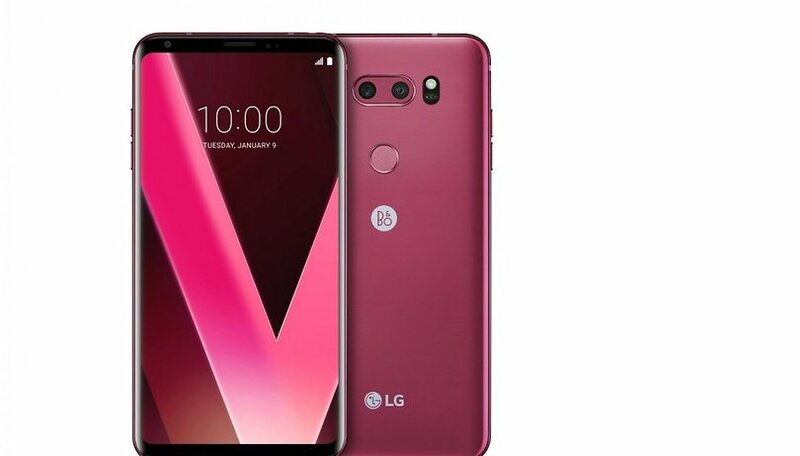 LG has announced the launch of a new V30 variant at CES 2018, in a color called 'raspberry rose', an intense reddish-pink that's much darker than the rose colors we've previously seen other brands play with, i.e. Samsung's 'pink rose' Galaxy S8. LG V30 vs iPhone 8 Plus: How much are you spending? The LG V30 initially impressed us with its design and hardware, and holds up pretty well as a phablet for everyday use, photography and multimedia. The upcoming raspberry rose version won't differ from the other colors in terms of specifications, but no doubt LG is hoping that the new eye-catching tone can win over some customers after the company struggled to find the right timing to make an impact on the global market. LG is pitching the "romance-inspiring" raspberry rose phone as "an ideal Valentine’s Day gift". The raspberry rose LG V30 will first be made available in LG's home country, South Korea, right after CES 2018 and will then roll out in European and Asian key markets. Unfortunately, we still don't know if the raspberry rose V30 will come out in the US, though undoubtedly there are stateside fans who just can't wait will be able to import it. Is the LG V30 a worthy rival to Samsung's top range? Choose your favorite! What do you think? Does the raspberry rose LG V30 really get you in the mood for romance?